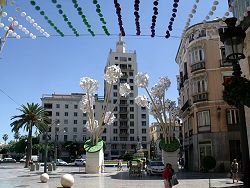 Although in the past Málaga has been one of the poor relations as far as Spanish cities go, particularly compared to the Andalucian capital of Sevilla, things are changing, and it shows. 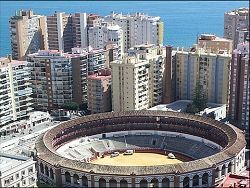 Málaga is being transformed into an attractive city,leading up to their bid to be the European Culture Capital in the year 2016. In 2003, the Picasso Museum was opened, celebrating the fact that Picasso was born in this city. 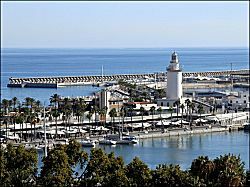 The busy harbour is overlooked by the Moorish Alcazaba (fortress), now mostly in ruins but including an archaeological museum, while on a hill above the city, an old Moorish castle has been transformed into a Paradore (state run hotel and restaurant). 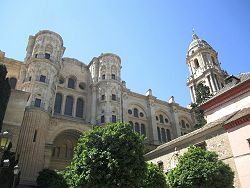 In the city is an imposing Baroque cathedral and plenty of tapas bars, restaurants, boutiques and upmarket shops. There are a number of festivals held throughout the year, including the International Jazz Festival, at the beginning of November. 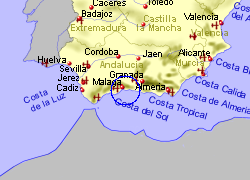 Málaga is sometimes referred to as the capitol of the Costa del Sol, which stretches for 50Km to the east and 100Km west. 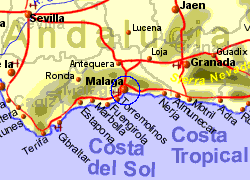 Map of the Malaga area.